I’m nearly done with my Mom’s list of things she wanted fixed and her awesome fish chowder ran out today. Therefore, it must be time to head on back west. We pick up my Gramp’s old jeep (1946 Willys) tomorrow now that all the paperwork is in place to get it across the border (we think). Should be something to see being towed behind the Roamer (future picture no doubt). We’ll be heading back towards Maine on Thursday, spend a night in New Brunswick and cross the border Friday if things go as planned. We’ve been sight-seeing around Nova Scotia and visited new and old (places I’ve been to growing up) places across the Province. 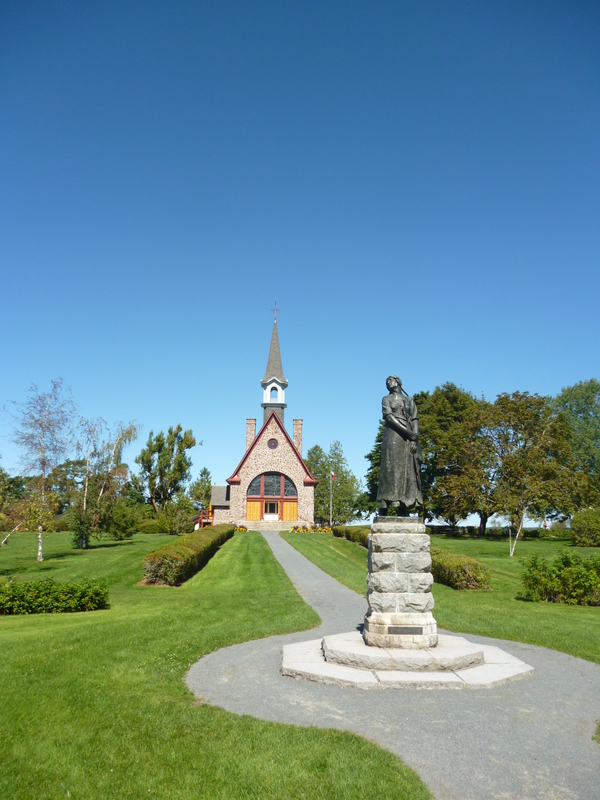 Visited Grand Pre, where the Acadians were removed by the English during the settlement of Nova Scotia. 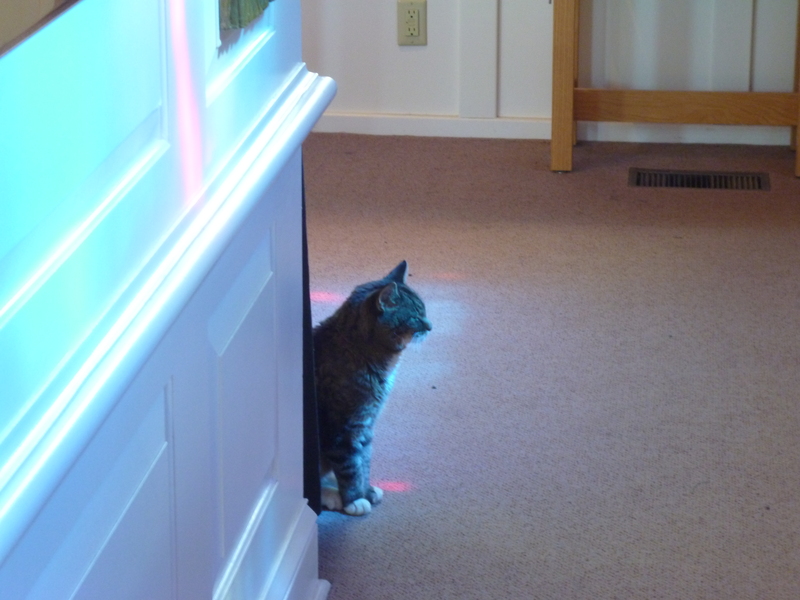 The cat that was there 4 years ago, when we were last there, was still in the chapel. The grounds around the place are very nice. 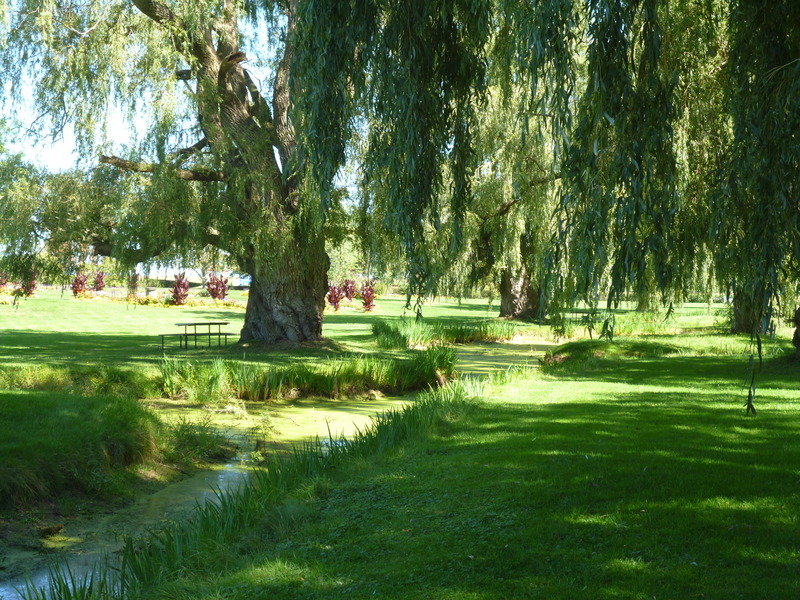 We had lunch at the Luckett Winery outside Wolfville. 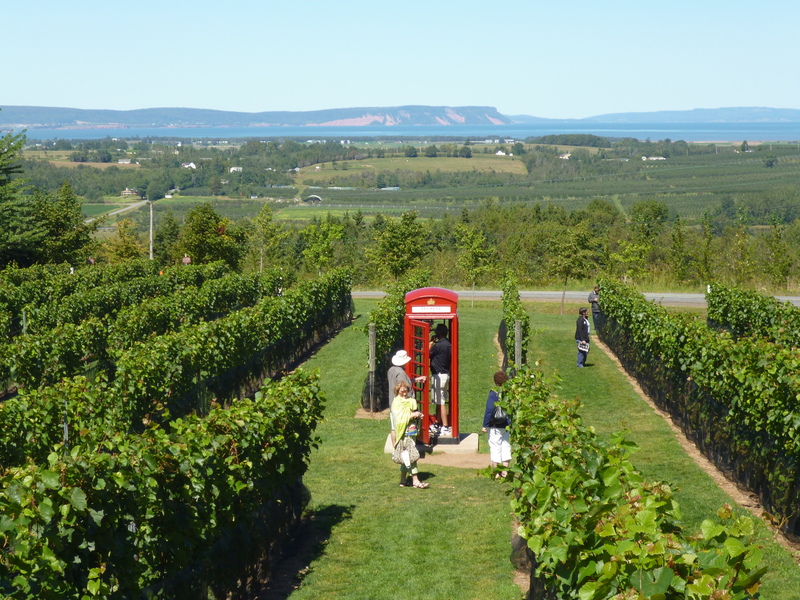 The red phone booth in the middle of the vineyard is a free phone for anyone to call anyone in North America – really. The red bluff of Blomidon is off in the distance across the bay. 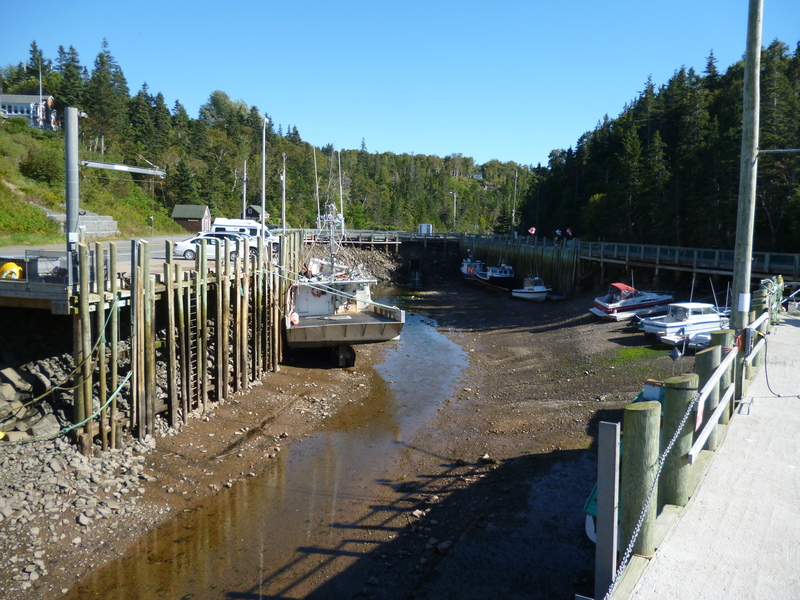 Had to stop at Halls Harbor and we happened to arrive at low tide. The moon is full tonight so the tides are at their extremes. Heading out or returning during low tide is not an option for these ships.